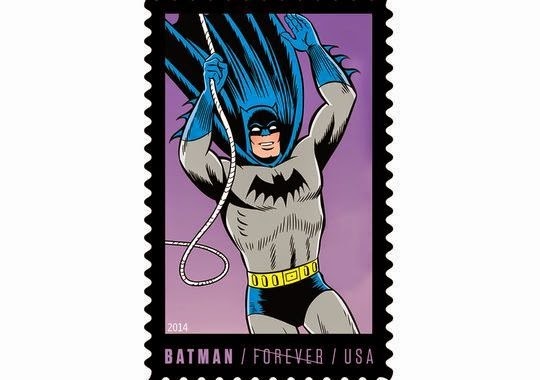 To coincide with New York Comic Con, the US Postal Service is taking on the Batman with some super new stamp designs. 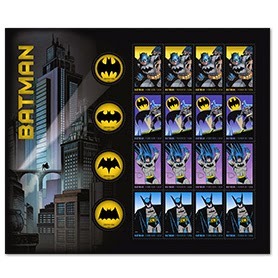 According to the USPS, "This new issuance showcases eight unique designs in a sheet of 20 stamps. Four versions of the iconic DC Comics super hero are depicted from four eras of comic book history. In addition, there are four incarnations of the Bat-Signal." 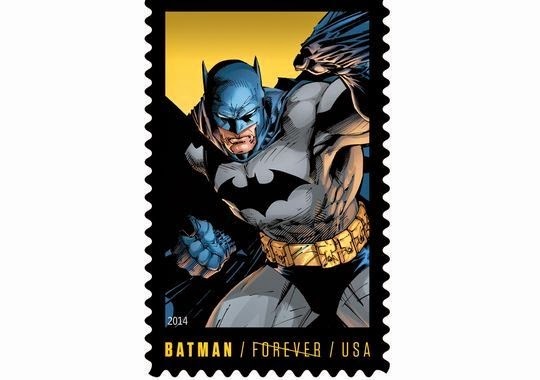 The stamps will be available on October 9 but you can click here to pre-order. 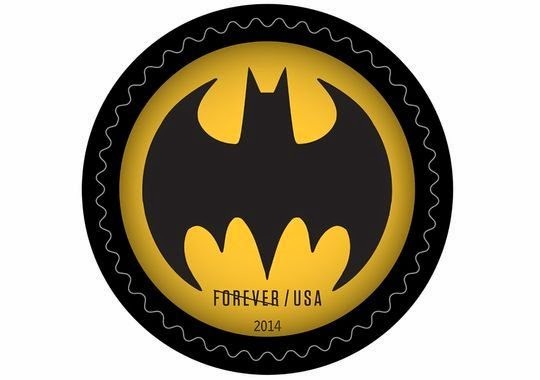 The Batman stamps are being issued as Forever® stamps. 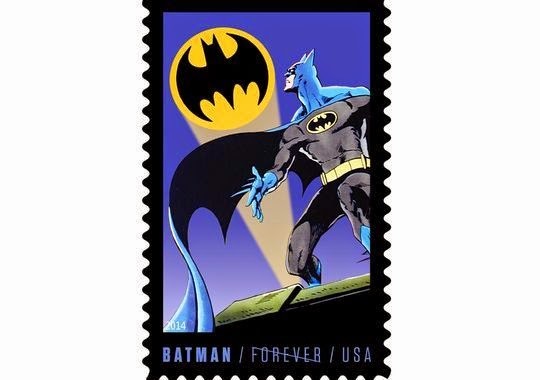 These Forever stamps will always be equal in value to the current First-_Class Mail® one-_ounce rate.